Our supplier for walk-in bathtubs is BCI Acrylic. BCI Acrylic Bath Systems therapeutic walk-in tubs supplied and installed by Yur Bath will bring back the safety and security of peaceful bathing once again. If you have been depriving yourself of a luxurious bath or shower because you are unable to step over your tub or you are afraid of the risk of slipping, then the Walk-In Bathtub is your solution. Enjoy the luxury of bathing once again, simple, safe, comfortable and convenient with a walk-in tub from Yur Bath. There is a safe way to get in or out of the tub when you own a walk-in bathtub. Makes warm baths or soothing showers accessible to people who thought they’d never enjoy the luxury on their own again. 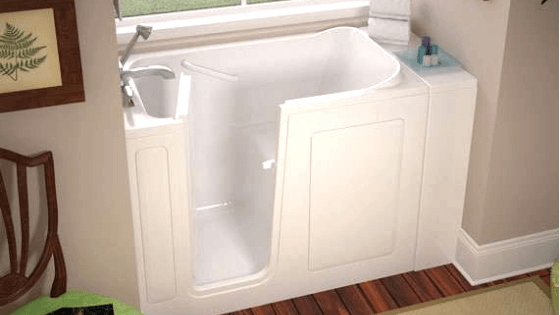 The walk-in tub door, low-entry step, built-in grab bar and slip resistant door are just a few of the features that make independent bathing secure. Built-in chair allows you to conveniently experience a comfortable, full body soak without the risk of falling. Our tubs are perfect for small bathrooms, existing shower stalls, mobile homes or small areas that a conventional tub cannot fit. Air switch finger tip controls make adjusting water flow and jet options as easy as touching a button. 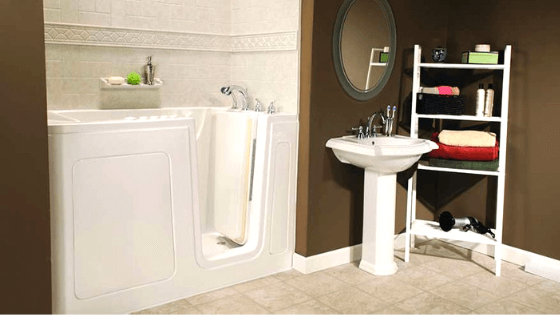 We have a walk-in tub for just about any situation as there are 20 sizes shapes and variations to choose from. And as with all products and services from Yur Bath, you have quality assurance. Our walk in Bathtubs are covered by a manufacturers 15 year complete and comprehensive warranty. In addition to your 15 year warranty, you also have a LIFETIME guarantee on the seal of your door.